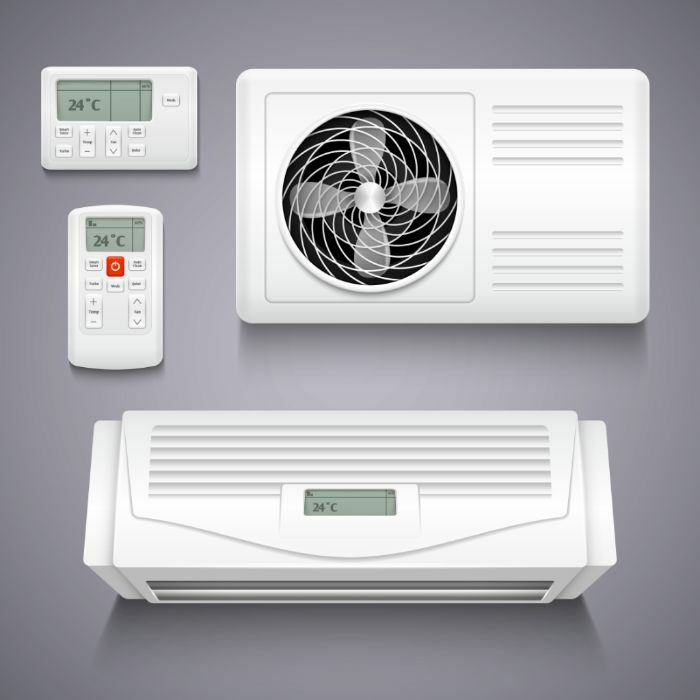 What is air conditioner short cycling? 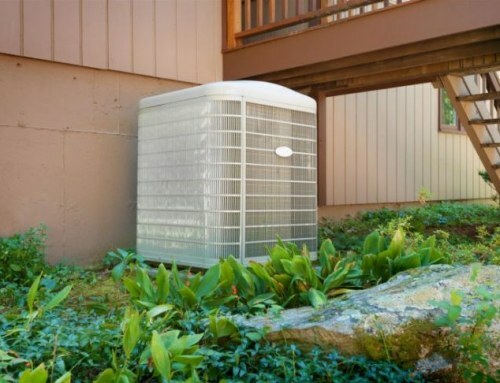 What does it mean for your Reedley air conditioning? 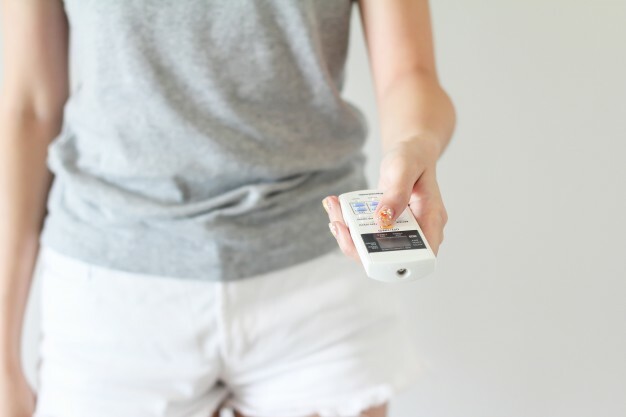 Normally, air conditioning systems switch between on and off mode by design in order to maintain the temperature levels set on the thermostat, a process known as cycling. 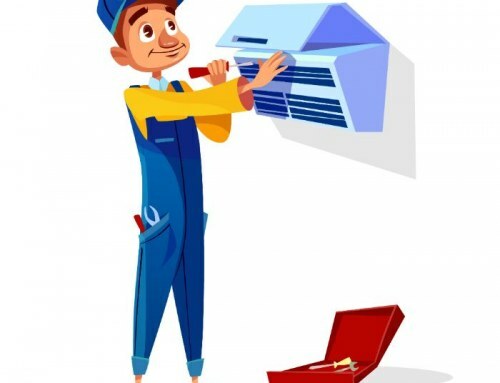 It is essential for the proper functioning of every home AC service through refrigeration wherein heat is removed from the air using a refrigerant chemical (Freon) then cooled through compression. However, when the cycling process happens in short intervals than usual or starts up but then runs only briefly failing to complete a full cycle, this can indicate a problem within the system. 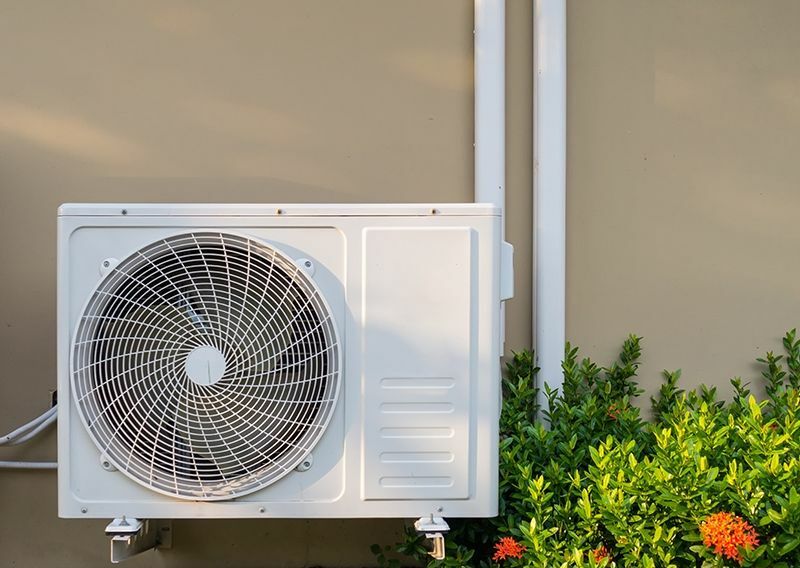 What Causes an Air Conditioner to Short Cycle? The bright side about this is that the problem may be very simple to fix. The common cause of short cycling is a very dirty air filter. Dirt blocks the airflow to the point that the system will start to overheat as it tries to cool your place. When this happens, the cooling system will shut down to prevent any damage. Changing the filter will mostly solve the problem. A malfunctioning thermostat – If the thermostat starts to read incorrect temperatures, it will trigger the unit to turn on then off at the wrong times or repeatedly in short intervals. If this happens, either a technician can fix it or simply replace it with a smart thermostat. The AC is too big – As the saying goes “bigger isn’t always better”. 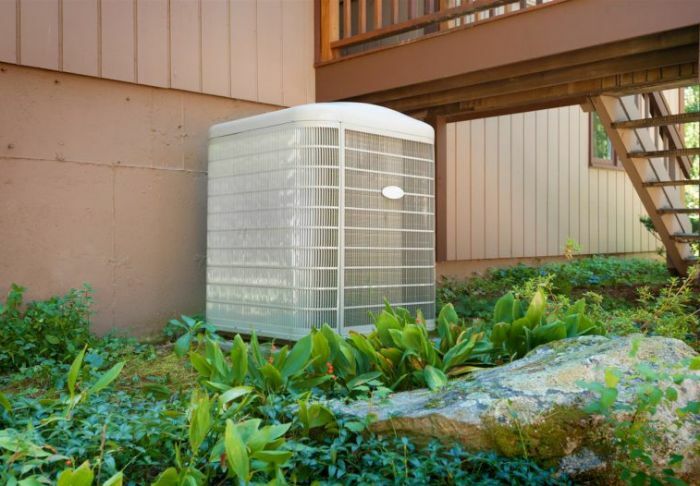 When the unit is too big for your home, it can cool your place too quickly, and will have to constantly cycle on and off. Plus, it can cause rapid temperature changes and eventually result in a rise in electricity consumption. 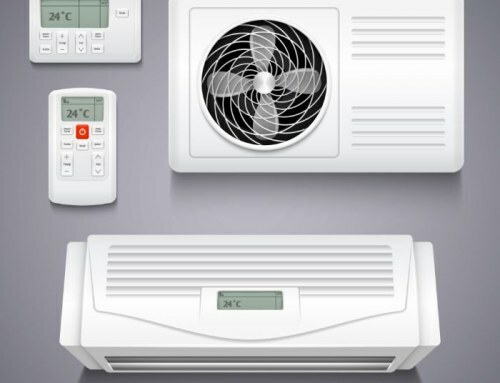 There is a problem with the electrical connection – The wiring and control boards within the unit may have connection issues that result in repeated turning on and shutting down of the AC. If this is the cause, completely shut down the system and call a professional. 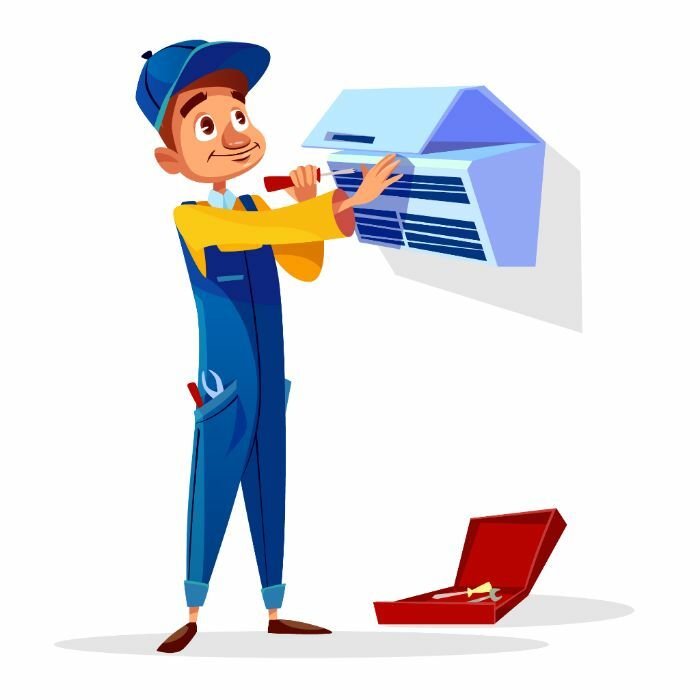 If the problem is serious and may cause danger to you and your property, call an AC expert. 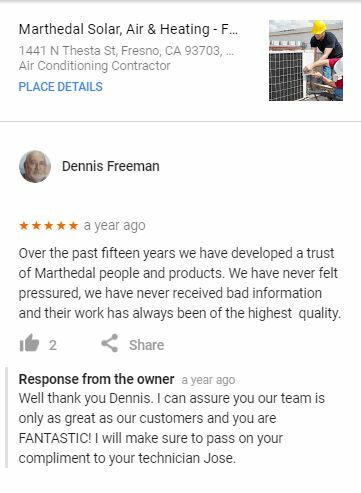 Skilled technicians from Marthedal Solar, Air & Heating have been in the field for years – checking, fixing, and replacing AC and AC components for countless households and businesses. 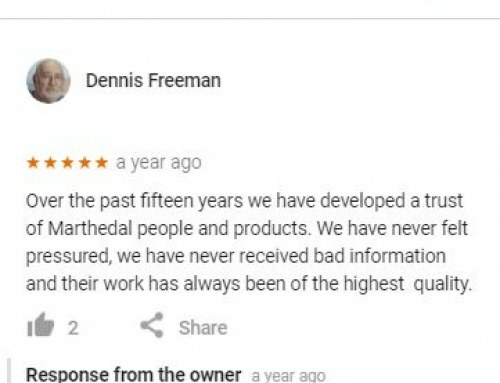 Our happy customers can attest to the superb customer service we always provide. Call us today if you need help with your heating and cooling system.